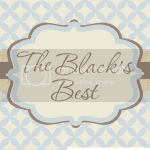 The Black's Best: Zucchini and Chocolate is a Great Combo! Ya see, my garden this year is starting to produce a good amount of green stuff. What do you do with too much zucchini.....zucchini bread of course! Oh, and don't forget the chocolate chips. Chocolate makes everything better, right? I happen to have lost my recipe for this sweet stuff, so I googled one up that was pretty yummmmm.y. I was assured of the good factor when my husband, kids, and I ate (I swear it was mostly them, not me) an entire loaf within about an hour of it coming out of the oven. Here's the recipe I found. The only changes I made are that I added about 2 1/2 to 3 cups of zucchini since that's how much I needed to use up. Oh yeah, I didn't add the walnuts either since I pretty much think nuts in baked goods are a sin. 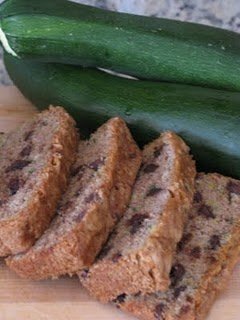 Moist, sweet, zucchini chocolate chip bread...mmmmm! Yum! 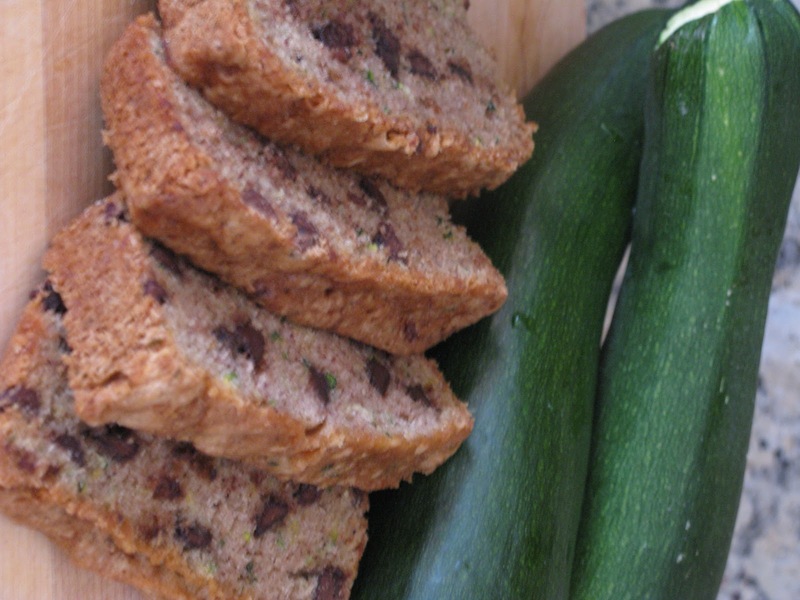 I always put chocolate chips in my zucchini bread too. Hey, if you have any zucchini that would otherwise be left rotting on your kitchen counter, give me a call and I would be happy to take it off your hands :) We didn't get the opportunity to plant a garden this year and I am definitely missing the lack of zucchini at our house. P.S. 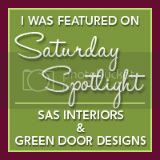 I add a lemon glaze to my zucchini bread that is TO DIE FOR. Let me know if you want the recipe. Yum! I love zucchini bread. 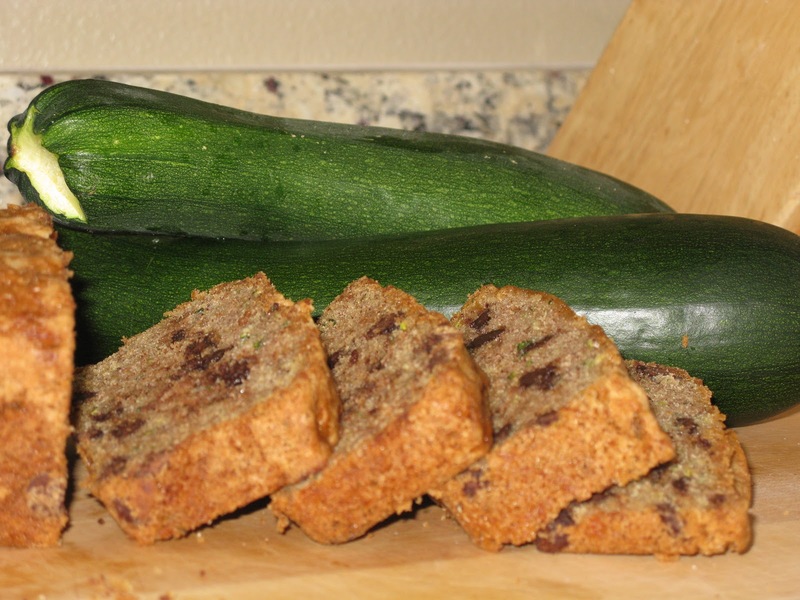 Zucchini bread with chocolate? Mmmmmmm, heaven. I have excess zucchini too. This looks like a yummy recipe.